The Sony F5 camera is capable of producing beautiful 4K pictures and is very flexible in terms of frame rate and format. 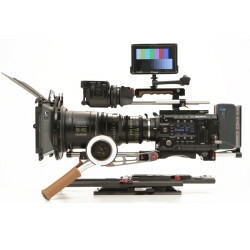 The Sony F5 genuinely holds up against cameras that cost significantly more. 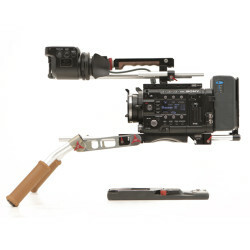 You can add a Raw Recorder (AXS-R5) to give even greater flexibility. 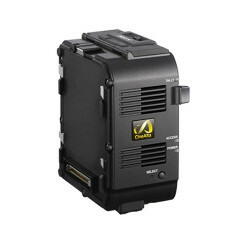 The Sony F5 uses less power, it is more sensitive with lower noise than the Arri Alexa. It is also approximately the same size and weight as an Alexa Mini. Despite its flimsy appearance, it has proved to be incredibly reliable in the field. Franklin used the Sony F5 to shoot in a variety of extreme conditions for the Oscar and BAFTA nominated feature documentary Virunga. The film also earned him a Primetime EMMY for Outstanding Cinematography. The Sony F5’s awful menu structure puts a lot of high-end DOP’s off using it (I struggle with it myself!). However we will happily set the camera up for you in advance so that it’s ready configured the way you like it straight out the case. Please feel free to come and see the camera and try it for yourself. Lastly don’t forget the cropped sensor mode which in a run and gun documentary situation makes a huge difference. The Sony F5 gives you a full resolution HD or 2K picture (unlike some other large chip cameras that use crop sensors) but has the advantage of freeing you up to use smaller chip format lenses. With adapters, you can use B4 mount broadcast lenses and, if you want something a bit sexier, the PL mount super16 Zeiss and Canon zooms fit straight on. All of these zooms give you a massive focal length range compared with super 35mm format lenses. The Sony f5 CineAlta camera shoots spectacular images with its 8.9 megapixels (effective) Sony 4K image sensor. You get superior, super-sampled pictures with noticeably higher contrast, rich colour reproduction and greater clarity. 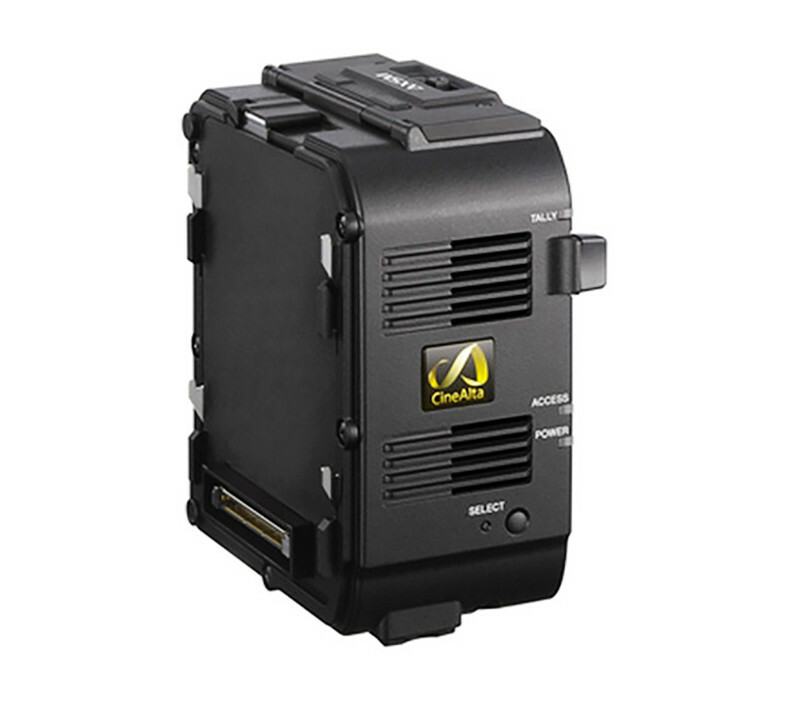 The Sony f5 offers robust built-in recording modes, all with vibrant 4:2:2 colour. Irresistible options include the amazing precision of 16-bit linear RAW 2K/4K recording and high speed shooting at up to 120 fps without cropping. ** Requires CBKZ-55FX software upgrade and Version 5.0 firmware update. *** Requires CBK-55PD codec board. The Sony f5 is exceptionally small, light and modular, letting you build up the right configuration for each job ‐ or each shot. The camera includes cache recording functions and has an easy‐to‐access customised user menu that sits on top of the setup menu. 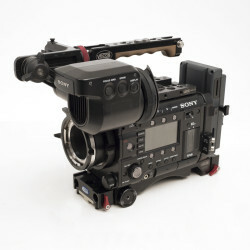 As well as the choice of formats and internal and external recording options, you can attached a variety of viewfinders, including the revolutionary optional DVF‐EL100 OLED viewfinder, PL‐mount, FZ‐mount and still lenses, including second-generation Sony PL‐mount lenses, and extra long-life Olivine ‐ Lithium Iron Phosphate ‐ batteries. 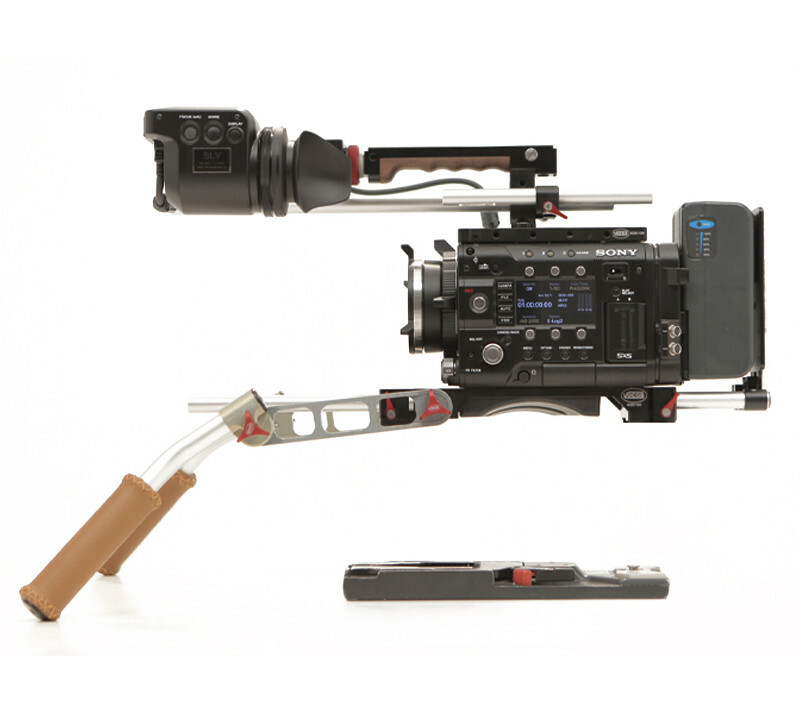 The chassis is only slightly wider than a typical PL‐mount prime lens, perfect for 3D rigs. An optional shoulder rig provides for hand-held and shoulder‐mounted shooting. 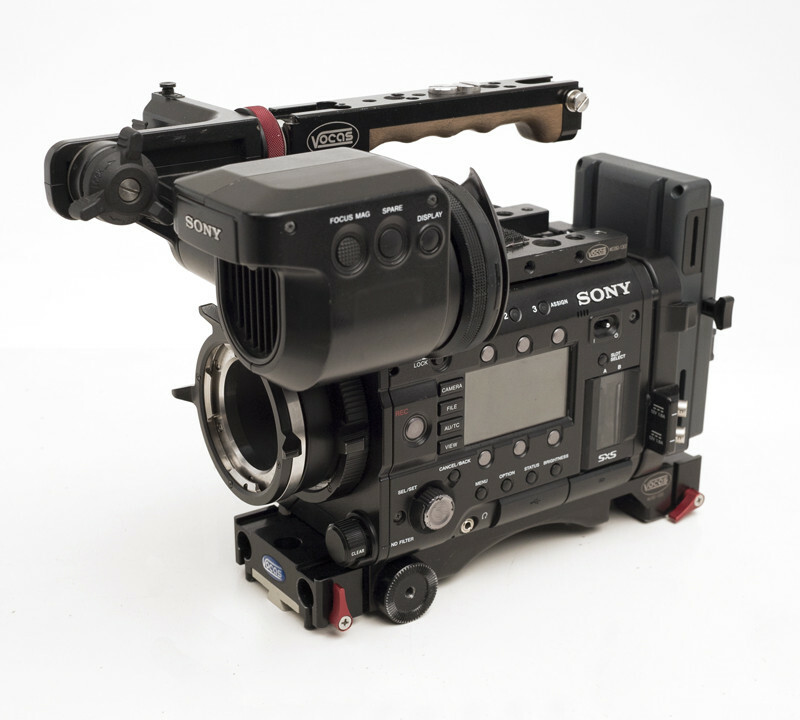 Version 5.0 firmware increases the functionality of the Sony f5. Upgraded functions include: DNR (Noise suppression) in Cine-EI mode; Memory A/B White Balance in Custom mode; assignable Colour Bars On/Off; assignable VF Magnification On/Off; changing FPS (STEP) with Menu knob (push for 2 seconds); the Double Speed VF setting remains while switching HFR On to Off; and simultaneous recording on SStP 422 SQ at 59.94i (SStP and MPEG 50). Version 5.0 also supports additional codecs, including ProRes 4444* with the installation of the optional CBK-55PD codec board. It is also possible to assign EI value to the Gain Switch in Cine-EI mode** and 3200K/4300K/5500K to White A/B/Preset switch in Cine-EI mode**. Wireless Audio settings can also be set via the “WRR” page**.